Hey lacquer lovers, I must apologize again for my lack or posts lately. I might have to make my posts every second day or a few times a week because my life is just so hectic and filled with stresses lately. I know you all have your own problems and don't look at nail art to deal with the problems of others, but I have a parent in the hospital, and I just got layed off from my job so I've been dealing with illness in the family, and getting unemployment filed and the stress of it being unexpected so having no money put away to live on for a while if need be. Ah rural communities. My nails have actually been naked for two whole days which to me is basically a sin against my religion and I will now have to repent to the nail polish gods. It's also Rural Canada and cold as ice so my nails had dried despite my best efforts and were becoming very brittle therefore I made the decision to go to nubbie nails and grow them a bit again since the climate is being so harsh on them and they were all becoming different sizes. Order was needed. 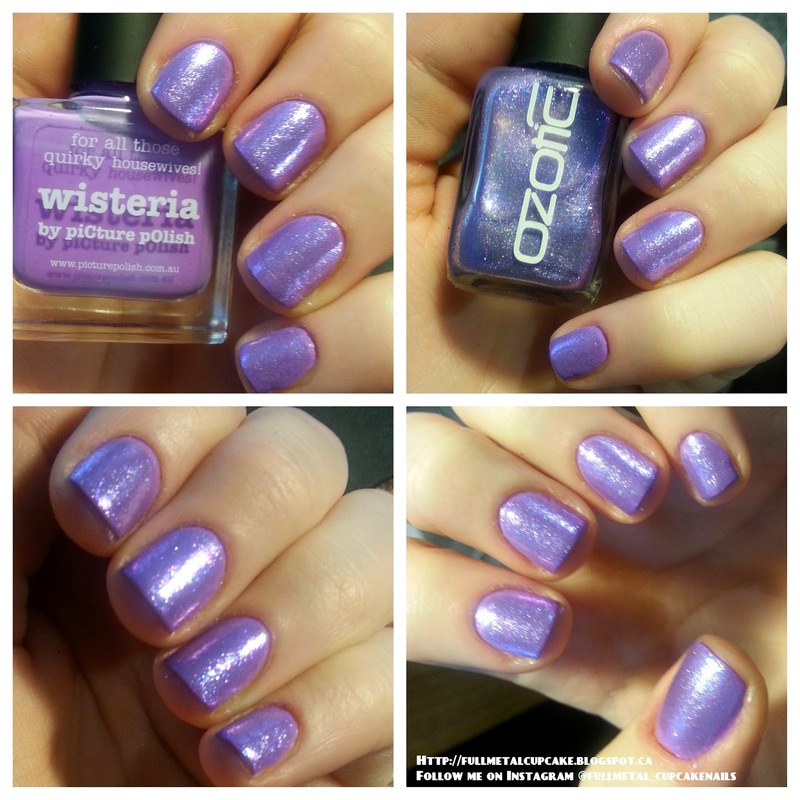 Anyway today after two whole days of nakie nails I present to you the wonderfully lovely combo of piCture pOlish Wisteria with Ozotic 902 Sugar layered on top. I could stare at this combo all day and I wish that the pictures would do it more justice but it's Canada and even though its full on afternoon its GRAY outside and being layed off I don't have the budget for a new light source yet, so I hope this gets across just how beautiful this combo is.